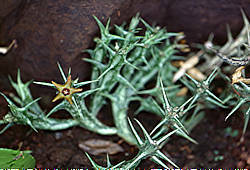 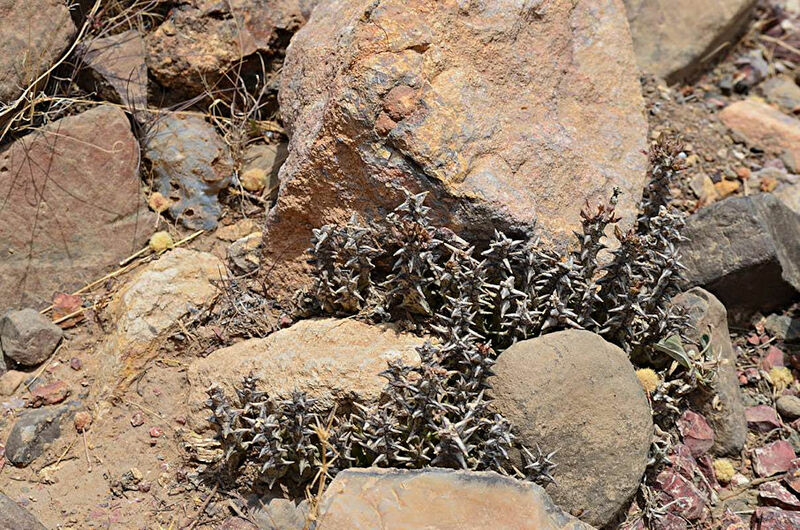 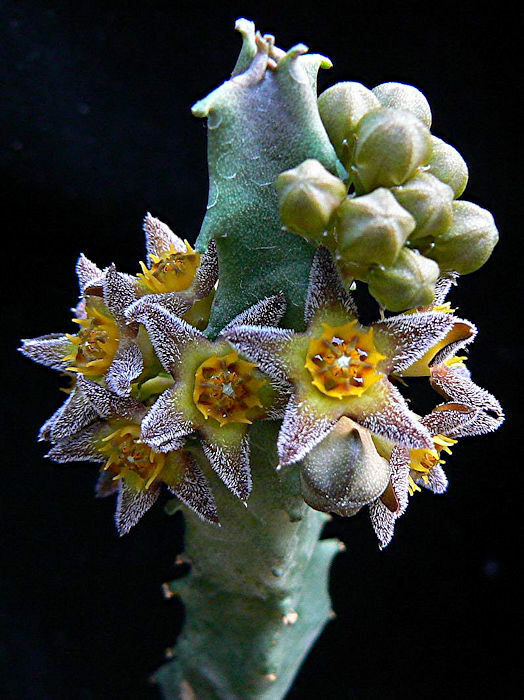 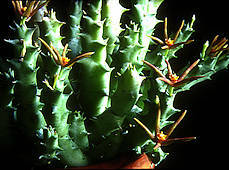 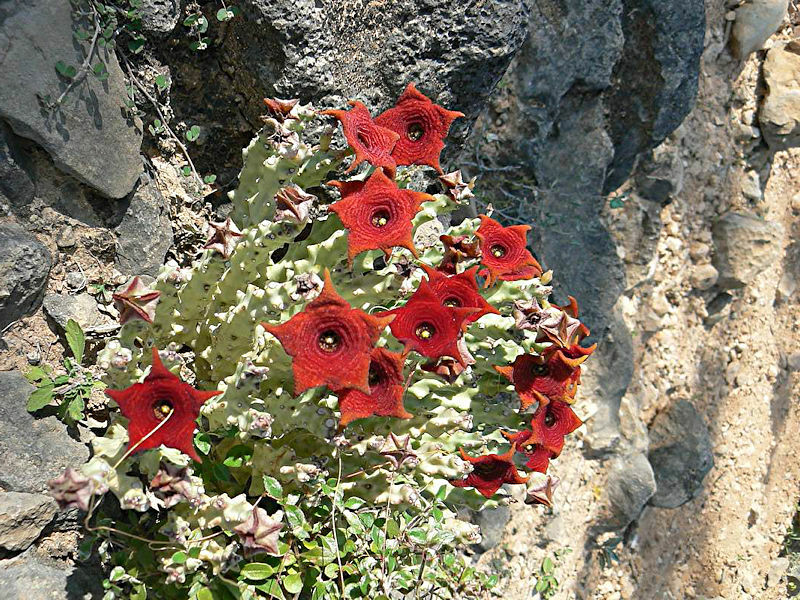 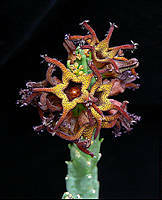 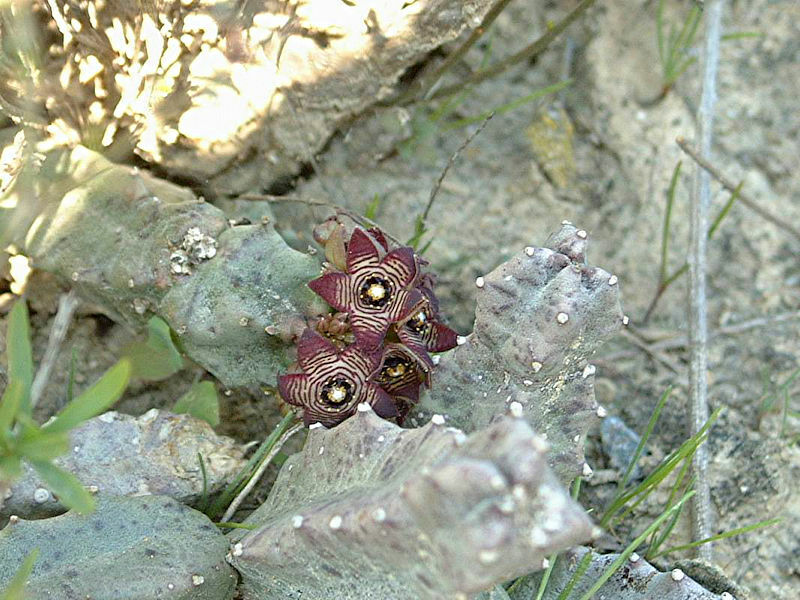 The genus Caralluma includes around 100 variable species of stem succulents with clumps of angular fleshy stems, often bearing prominent pointed tubercles (vestigal leaves). 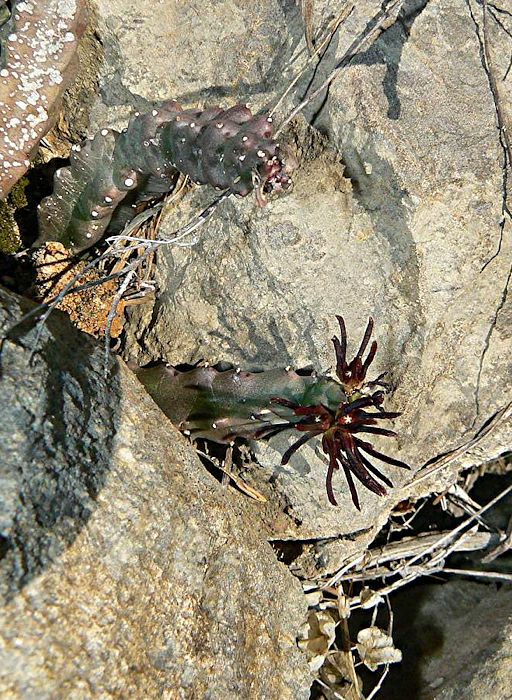 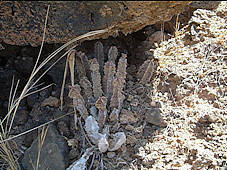 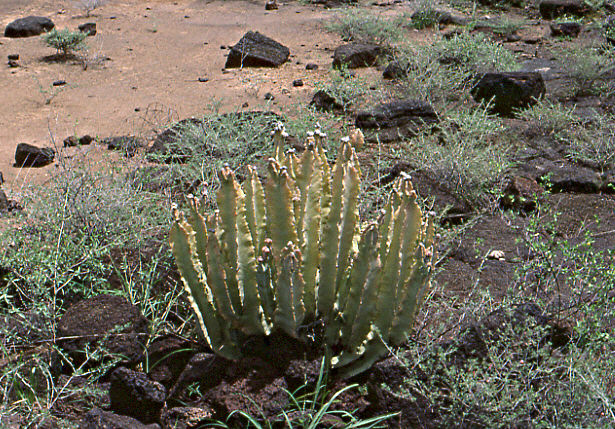 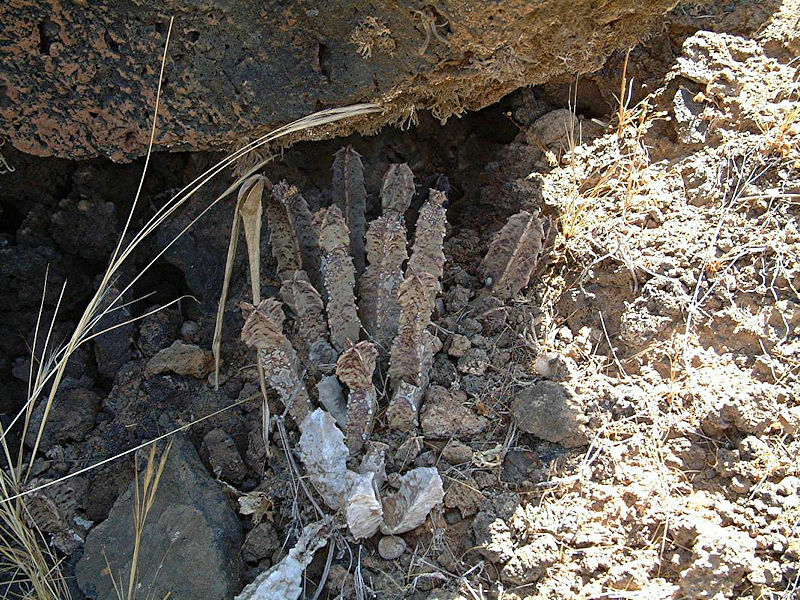 Caralluma stems may be recumbent or erect with considerable variation in diameter (0.5 inch to 1.5 inches) between different species. 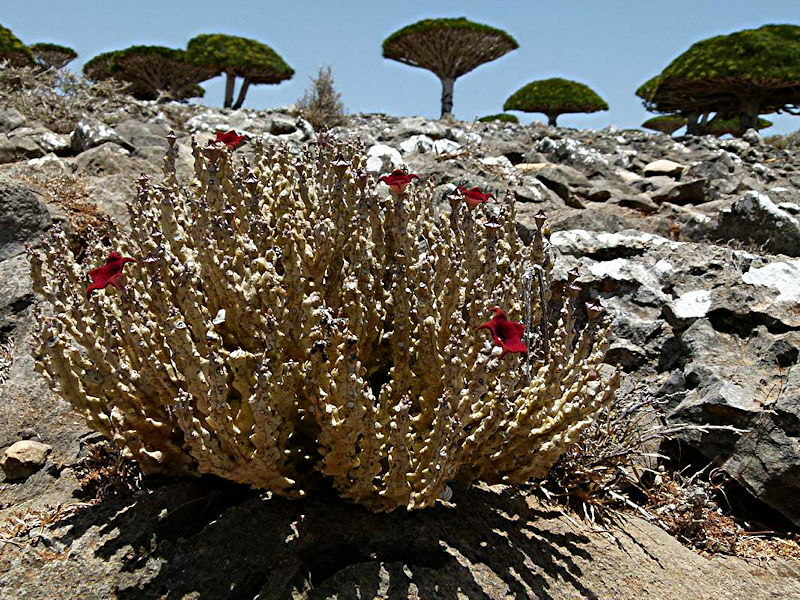 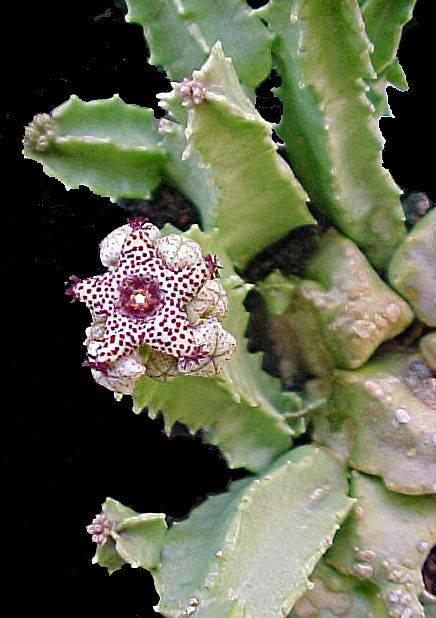 Caralluma is distributed in southern Europe, Africa, Canary Islands, Arabia, India, Ceylon, and Afghanistan. 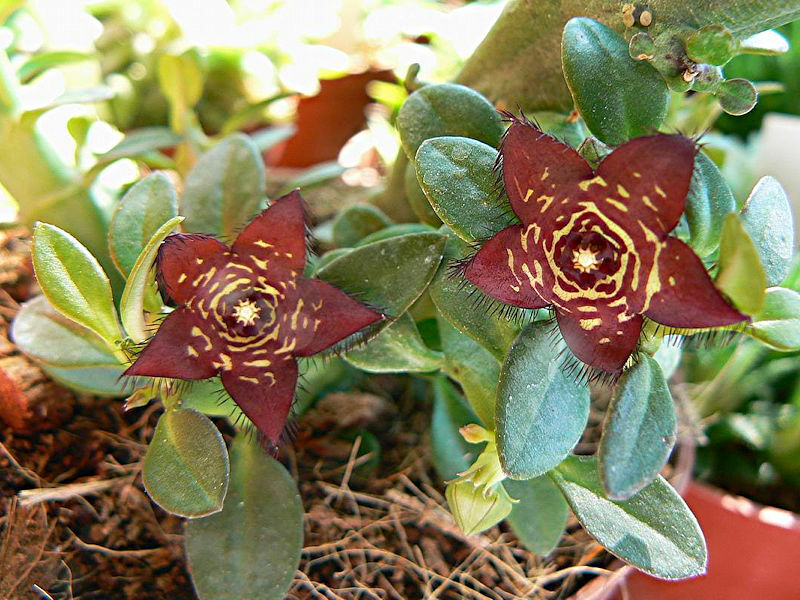 Flowers are five-pointed fleshy stars coloured black, purple, yellow, brown, maroon or red, produced in late Summer or Autumn. 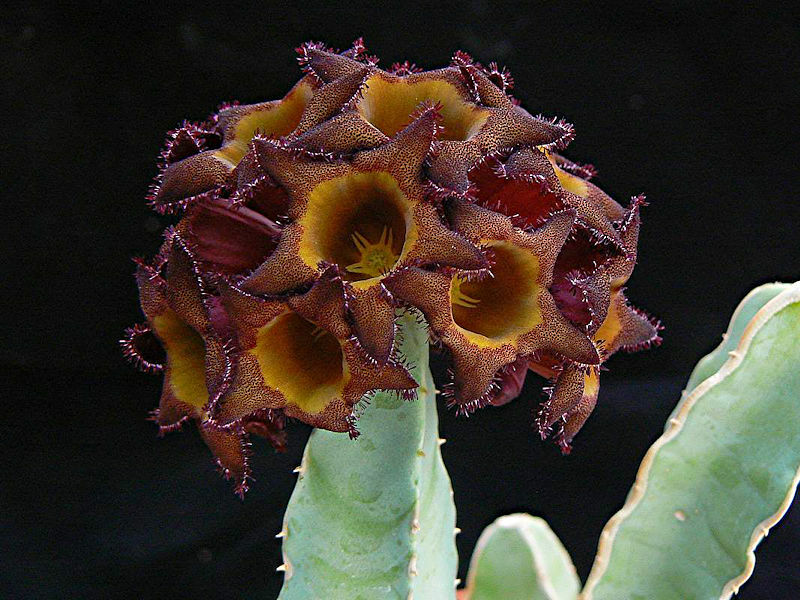 Caralluma flowers have some of the most unpleasant perfumes of any succulent plants, resembling the odour of a decaying animal. 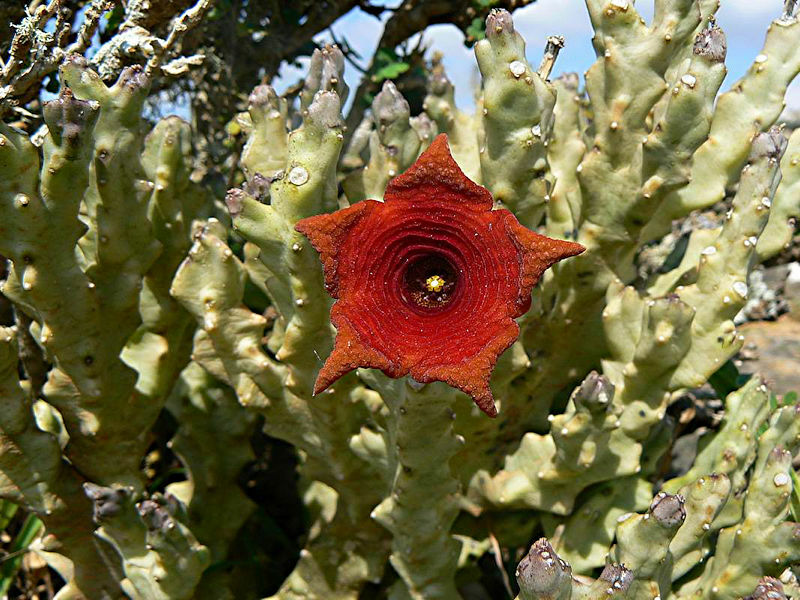 This perfume attracts blow flies which are the natural pollinators. 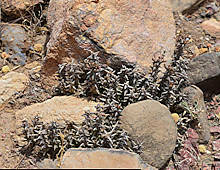 Following successful pollination of flowers pairs of seed horns are produced, packed with seeds attached to silky parachutes. 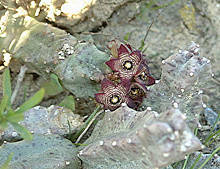 Several species of Caralluma have edible stems, and are used in India as vegetables. 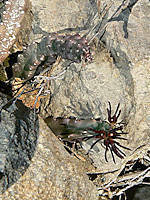 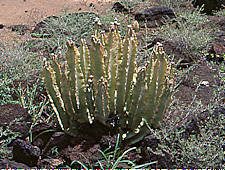 Their water content is a vauable dietary componment in arid environments. 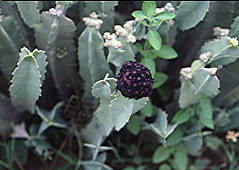 Some species reportedly have appetite suppressant properties. Frerea indica has sometimes been included in Caralluma as C. frerei and is the only stapeliad with leafy stems. 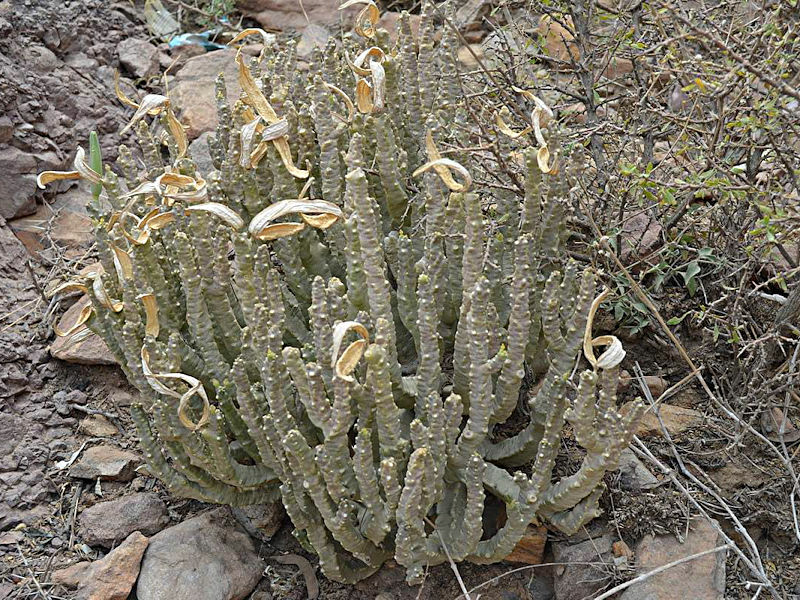 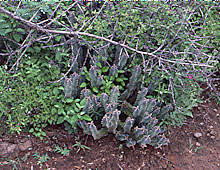 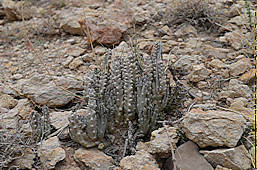 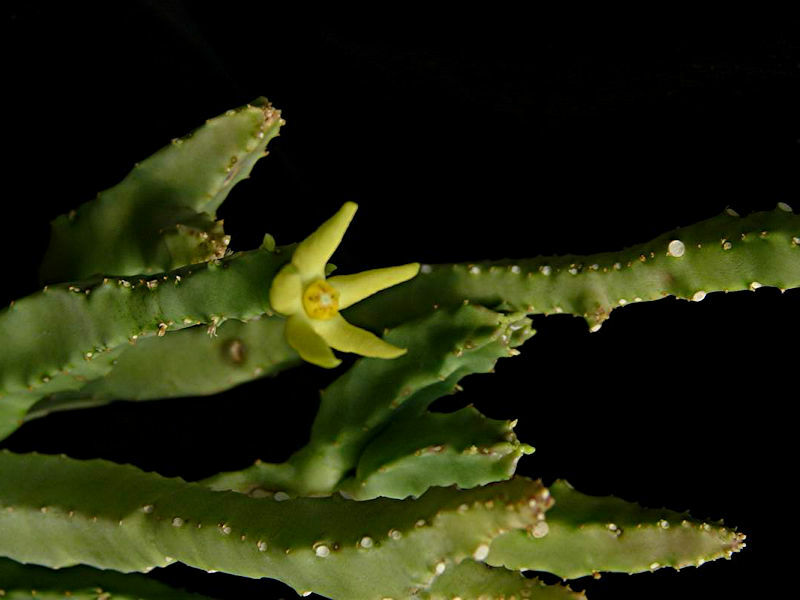 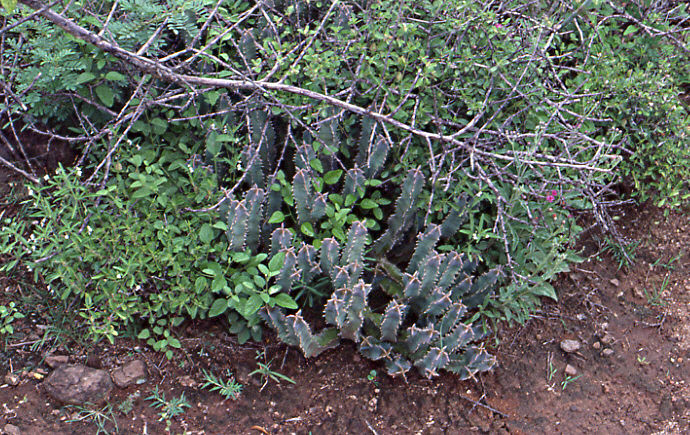 Cultivation is similar to that of other Stapeliads. 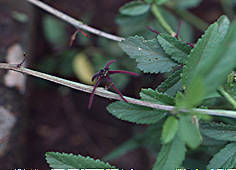 A gritty, very free-draining compost is suitable, and clay pots help the plants to dry out between watering. 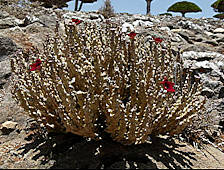 The plants grow best in warm sunny conditions. 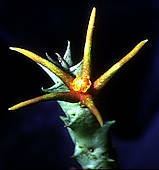 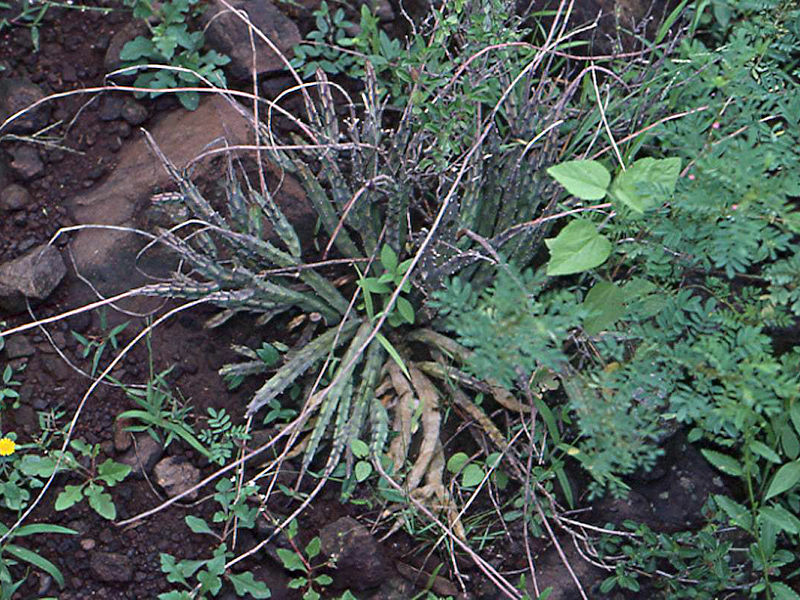 They are very susceptible to stem and root mealy bugs, and damage from these may well initiate fungal attack and rotting of stems. 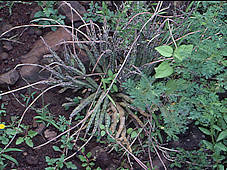 It is as well to take frequent stem cuttings, which may be laid on gritty compost and will then root from their underside. 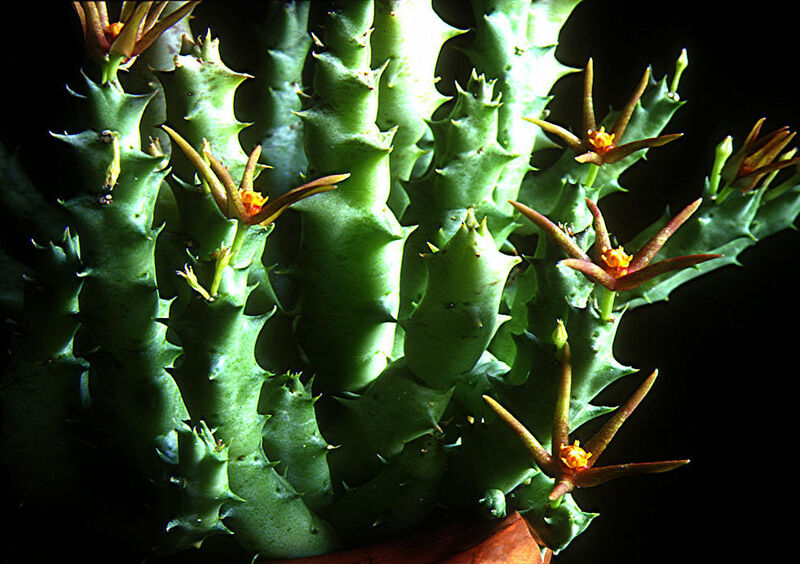 My personal experience is that many members of this genus are difficult to overwinter under cool conditions. 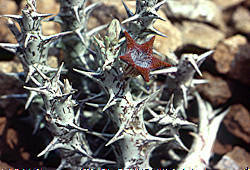 Native to Wadi Dahr, Yemen. 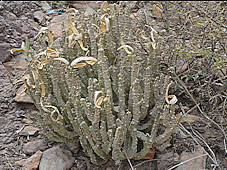 Native to Yemen and Oman. 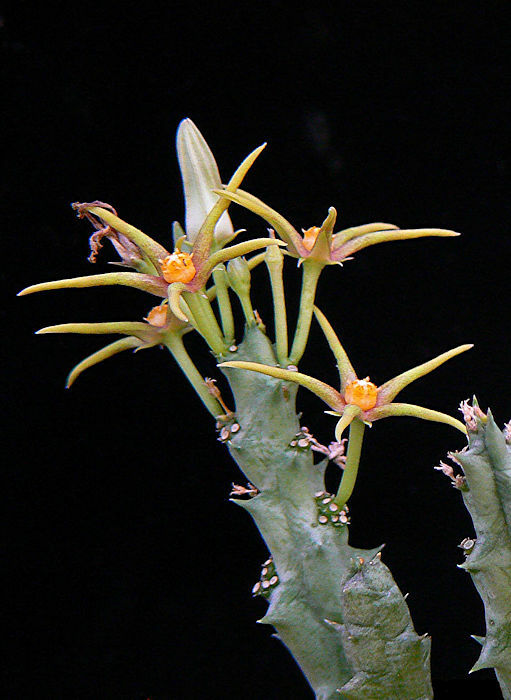 Photos: Richard Hodgkiss, cultivated plant.